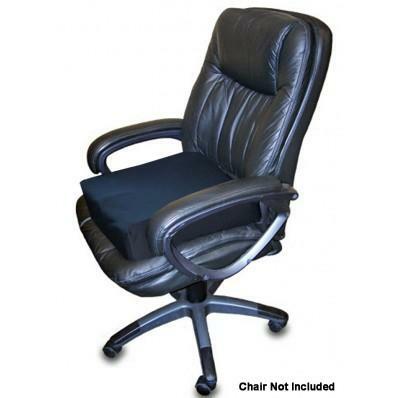 Elasto-Gel Contour Chair Cushion with Pommel provides ergonomically correct comfort. It is 19″ wide x 19″ deep with extremely durable construction. The cushion is designed with a pommel to reduce sliding forward. The design eases pressure off of the sitting bone, which relieves lower back pressure and corrects posture. The cushion is easy to clean since it has a removable waterproof cover. The chair is not included with purchase.